If you’re in need of swollen eyelid treatment fast, then you have probably done a bit of research of your own. You may have even scoured the countless products that have flooded the market tailored to this troublesome condition. Despite there being numerous products out there that might help or relieve the discomfort and swelling from swollen eyes, there are quite a few that use questionable ingredients. The use of harsh chemicals to treat a skin condition is just asking for trouble; unknown irritants to your skin could make your situation worse without being aware of it right away. If you’re seeking a swollen eyelid treatment, then you should consider going natural. 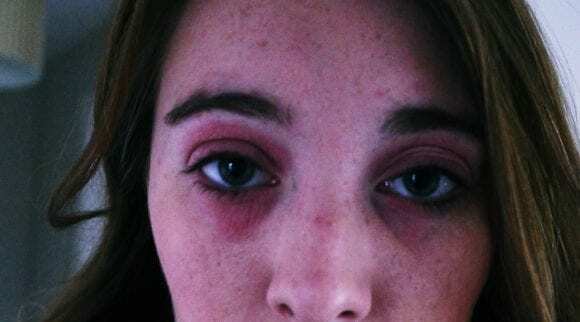 The use of all-natural ingredients proven to soothe and treat the underlying causes of swollen eyelids is a far better way of dealing with this condition rather than piling on products with ingredients you can’t even pronounce, let alone recognize. If you’re suffering from swollen eyelids and the discomfort has reached the point where you need a swollen eyelid treatment fast, then you might want to take a look at the probable causes of this uncomfortable condition. Knowing what the cause of your particular case of eye irritation might mean you can treat it more effectively. Many people suffer from some sort of allergy, and most people have some reaction to the changing of seasons. The increased pollen in the air tends to irritate our sinuses and eyes, which can result in red, irritated, and swollen eyes. If you’re suffering from a simple allergy to pollen, then taking something like an antihistamine should clear it up. However, if you’re suffering from a different type of allergy, like perfumes, then the chances of being able to distance yourself from the irritant is considerably harder to do. If you can’t remove yourself from the irritant itself, then it’s best to think about a swollen eyelid treatment to help reduce recurring swelling and irritation. Reduce exposure to irritants like perfume. If condition persists, see a doctor. There are many different types of bacterial infections that can cause irritation to the eyes and the surrounding tissue; one of the most recognized is conjunctivitis. Conjunctivitis is just an inflammation of the lining of the eye which is called the conjunctiva. Conjunctivitis causes the eyes to water excessively, becoming itchy and red, along with swelling from the bacterial infection. Most bacterial infections are referred to as Conjunctivitis because that is the area of the eye commonly affected by bacteria. Continued reactions of bacteria could mean an underlying issue, but for those who are looking for short-term relief, consider finding a swollen eyelid treatment to reduce swelling and alleviate discomfort. Bacterial infections can be prevented. Focus on reducing swelling and talk to your doctor. Although the majority of people wouldn’t recognize the term, a stye is the inflammation of the meibomian gland, a result of a bacterial infection. It will usually appear as a swollen bump on the edge of the eyelids and is the result of the oil glands of the eye becoming blocked. Swelling of the surrounding area on the eyelid is a common occurrence, as a stye can even cause an entire eyelid to swell. The swollen tissue from a stye can be sensitive to touch, causing pain and creating a swollen, irritated eye that needs treatment. A stye can be treated by a doctor, and consulting one before looking at a swollen eyelid treatment is suggested. As startling as it might seem, simply wearing contacts can cause eyelid swelling. However, that doesn’t mean you need to rush out and buy a pair of glasses or toss those expensive contact lenses away. The reason contact lenses can cause swollen eyes is due to improper care of the lenses themselves. You should be aware of how often you’ve worn the contact lenses, replacing them in a timely fashion to prevent bacteria growth. 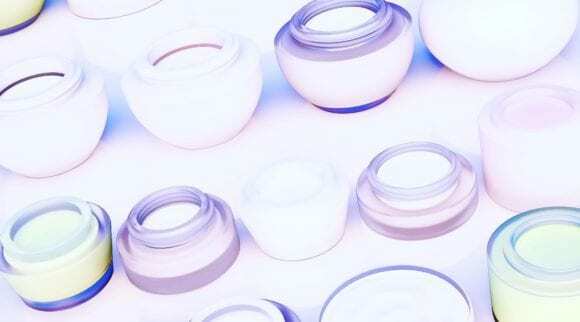 Likewise, a damaged contact lens can become an irritant to the eye itself, causing swelling and discomfort long after it’s removed. 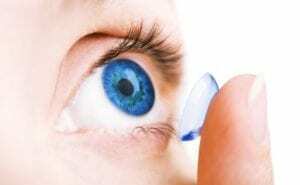 In the case of contact lenses, it’s best to remove the lens, ensure the lens is properly cleaned and in good condition, and if needed, seek out a swollen eyelid treatment to ensure that any irritation is soothed. Maintain proper hygiene with contact lenses. Much like a stye, Blepharitis is the malfunction of the oil glands in our eyes. Blepharitis results in a painfully swollen eyelid along with dandruff-like skin. There is also the possibility of loss of eyelashes. Normally a chronic condition, this type of eye condition can stem from a bacterial infection. The best course of action is to find a swollen eyelid treatment that is conscious of hygiene, as a good hygiene regime will go a long way in soothing the condition. 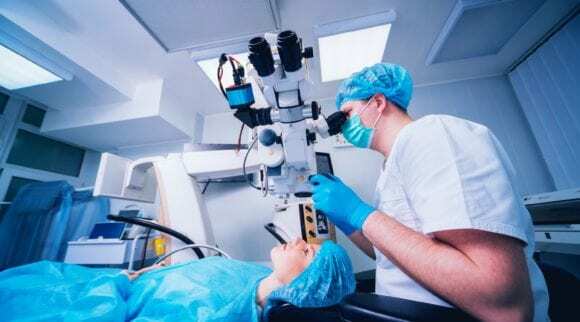 Finding a swollen eyelid treatment to help control this chronic condition is the best course of action since Blepharitis isn’t considered curable but a maintenance-required condition. Find treatment for continued maintenance of eyes. Once you find the most likely cause for your swollen eyelids, it’s time to seek out a treatment that works best for you. When searching for a swollen eyelid treatment, you should consider the ingredients. Many products contain filler chemicals, dyes, and fragrances. All these things should be ruled out when it comes to a swollen eyelid treatment. The reason is simple: our eyes are delicate. 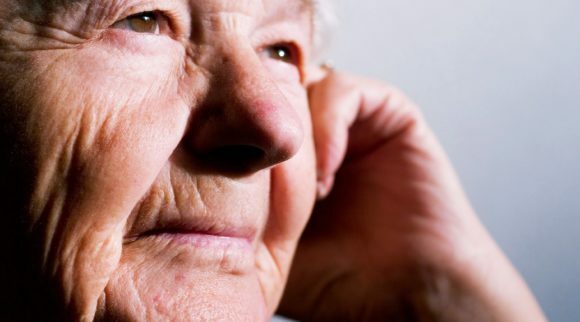 The skin around our eyes is some of the thinnest on our body, and it takes very little to damage or irritate the skin, further inflaming what might have already been an uncomfortable condition. The point of finding a treatment is to relieve the pain and discomfort brought on by swollen and irritated eyes. Going all natural is a great way to avoid needless fillers, as is searching for products that are vegan, organic, and gluten-free. When looking at products, keep in mind that quantity doesn’t always mean quality. If a product has numerous ingredients, it might be worth taking the time to see exactly what is inside. If you can’t immediately recognize the majority of the ingredients, then you might want to move on to a different product. Some easy-to-spot ingredients like vitamin A or E might be misplaced in a label because they’re labeled as Retinyl Palmitate (vitamin A) or Tocopheryl Acetate (Vitamin E). 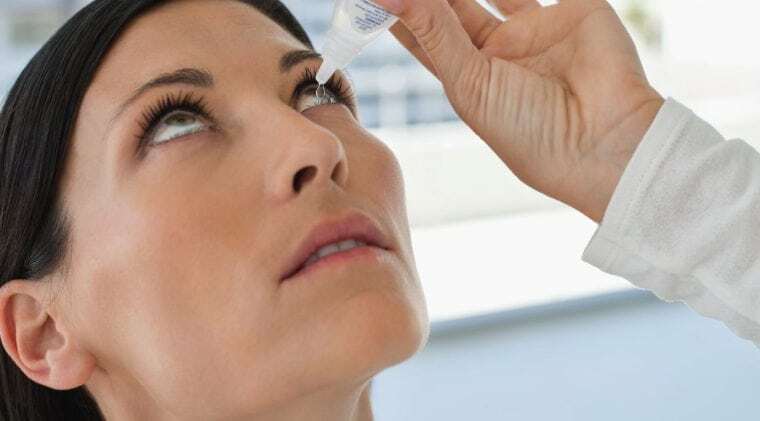 Being able to properly read a label is important when looking for a swollen eyelid treatment if you want to avoid the risk of unknown irritants being introduced to your irritated eyes. Although some products use the scientific labels for ingredients, you can find all-natural products that don’t hide behind a fancy name. 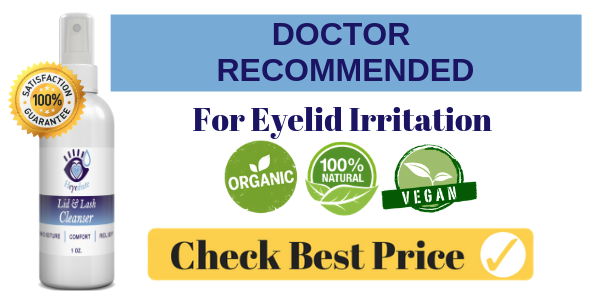 If you’re looking for a swollen eyelid treatment that has all-natural ingredients known to help swollen eyes, then there are a few ingredients you should watch out for proven to work without the threat of side effects. In many cases, the use of an all-natural product is enough to relieve and soothe the discomfort of swollen eyelids, but sometimes repeated use and additional forms of treatment are required. 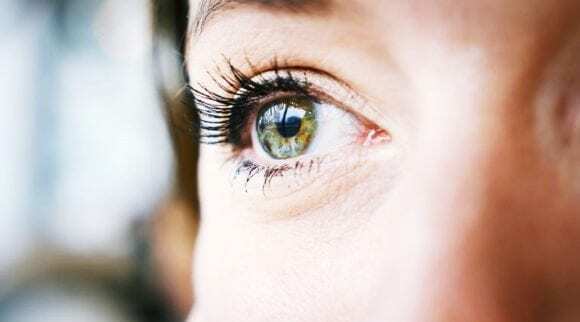 If this is the case, then combining the use of an all-natural product for swollen eyelid treatment alongside a temperature therapy could make a night and day difference in your prolonged eye health. The most common swollen eyelid treatment is the use of temperature therapy, which is the use of cold or heat to relieve pain and discomfort to a variety of areas. These two types of therapy have different advantages when it comes to treating swollen eyelids. Cold therapy is used to reduce blood flow to a selected area. The use of cold reduces inflammation and swelling, and cold therapy can reduce nerve activity, which has a direct impact on the way we experience pain. Cold therapy is almost always helpful in cases of allergy. There are more than just the two types of cold therapy listed above; the use of full-body cooling chambers is another option, though it is far less accessible than just using an ice pack. Whereas cold therapy reduces the flow of blood to an affected area, heat therapy works in the opposite manner. Heat therapy increases the blood flow to a selected area, and the increase in temperature soothes any discomfort while increasing the affected areas mobility. Heat therapy can even play a part in healing damaged tissues. Also known as conducted heat therapy, this type of heat therapy for swollen eyelid treatment is the use of heating pads, heating packs, or even a sauna. This form of heat therapy is easy to apply and remove. Also known as convection heat therapy, this type of heat therapy is most commonly used with steamed towels or hot baths. Moist heat can sometimes be considered to be more effective than dry heat, as it takes less application time to reach the same results. The use of moist heat therapy for a swollen eyelid treatment is beneficial, retaining moisture in the eye itself while giving the benefits of traditional heat therapy. With any treatment option out there, there will always be risks involved. In the case of cold and heat therapy for swollen eyelid treatment, the majority of risks can be easily resolved through simple and effective safety measures. The use of cold or heat therapy for swollen eyelid treatment is only a viable option if you’re aware of what temperature you’re using as therapy. The skin of our eyelids is incredibly thin, and the induction of a change of temperature can be felt quickly. Using a device that hasn’t been checked before an application can result in tissue damage. When using cold or heat therapy for swollen eyelid treatment, make sure that you’re aware of how long you’re using each treatment for. If you’re worried about using either treatment for too long, then the best course of action is to set a timer. No more than 10-20 minutes is needed. When using cold or heat therapy for swollen eyelid treatment, be mindful of where exactly you are placing the medium of your choice. You want to get the effects of the temperature while not excessively exposing other areas of yourself or worse, putting undue pressure on the affected area. It’s best to have something soft to cushion the heating or cooling device, which will also insulate it, protecting against temperature fluctuations. 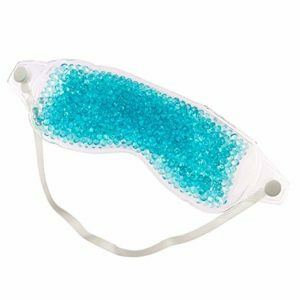 If you’re looking for something that is easy to use when it comes to swollen eyelid treatment, then you should take a look at the clay eye mask by FOMI. This eyewear uses the same methods that have been used for centuries but with a little modern twist. The mask is a clay pack which uses a ceramic clay along with non-toxic oils; these two ingredients make an easily moldable clay wrap. This clay mask is for those who are seeking swollen eyelid treatment fast. The therapeutic mask has a longer hold time than gel between uses. Designed for your comfort, the mask comes with a two-sided cover: one side is a plush fabric that is similar to what you would find in your local spa, the other is for those in need of fast relief. If you’re seeking something for swollen eyelid treatment, then you should think about going all natural. There are benefits to avoiding pharmaceutical-ridden products for swollen eyelid treatments. Tea tree oil has long been an all-natural remedy for a myriad of issues, from skin to hair and in this case, eyes. Tea tree oil is a natural method of killing bacteria and the Demodex mites that cause red, irritated, swollen eyes. Likewise, the organic Jojoba oil helps to keep your pores clean with its delicate, yet powerfully balanced cleansing properties. 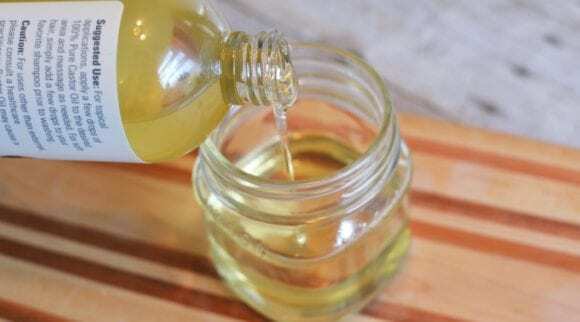 Grapeseed oil is another key ingredient in this powerhouse swollen eyelid treatment, a natural anti-inflammatory that helps to reduce swelling on the thin skin on our eyes. This product reduces inflammation while removing any trace of makeup or other pollutants that cling to the eyelid. 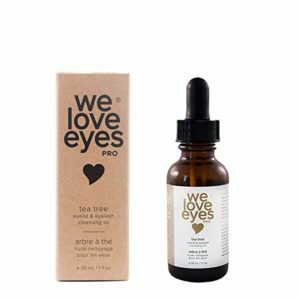 This natural eyelid treatment was designed by an optometrist with those who suffer from constant eyelid irritation and swelling in mind. A great way to help reduce swollen eyelids is to treat one of the major causes of it. Irritants that are left behind from our daily lives contribute to our irritated, swollen eyelids. Removing excess oil, dirt, or makeup helps soothe the eyelids and reduce swelling. 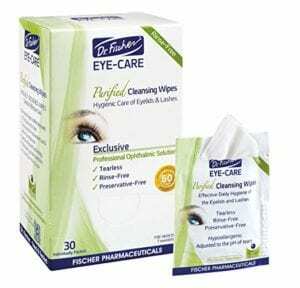 If you’re wanting something for a swollen eyelid treatment fast, then you need to consider these cleansing wipes. Ophthalmologist and dermatologist recommended, the wipes have been praised for their ability to soothe conditions like Conjunctivitis and Blepharitis. Free of irritants that can commonly be found in other swollen eyelid treatment options, Dr. Fischer’s Hypoallergenic Eyelid Wipes are preservative free and contain no alcohol. The wipes reduce swelling and pain while combatting the dry skin associated with prolonged eye irritation. Daily use is recommended to help prevent as well as treat swollen eyelids. These wipes make a swollen eyelid treatment fast and easy. Using ingredients that have been clinically proven to moisturize and reduce swelling of the face, neck, and eyes, this organic cream deeply penetrates your skin while locking in moisture. A rejuvenating, anti-aging cream for swollen eyelid treatment, the cream made in the USA has no fillers, fragrances, or dyes. Simple, easy-to-read ingredients like raw honey, a natural antibiotic, hydrate while stimulating skin cell regeneration. Boasting its stance on animal testing, this spa treatment-styled cream is a natural way to heal and replenish your skin. Effective on various parts of the body, it’s been specifically heralded as great for swollen eyelid treatment. If you need a swollen eyelid treatment fast, then you should take a look at Yon-Ka’s Contours. This delicate eye cream is designed specifically to reduce swollen, puffy eyes. Key ingredients like lavender and rosemary produce an immediate response, leaving a sensation of rejuvenation. 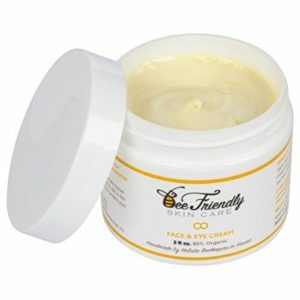 Treating dark circles and helping to alleviate the delicate skin of your eyelid, this cream also helps boost circulation. With a pleasant scent and easy to-apply method, this cream can be left on after application. If you’ve thought about seeking something for swollen eyelid treatment, then you’ve most likely looked at cold and hot therapy. Both have their benefits, but there is a reason for the use of each one, and when it comes to heat therapy, you want to make sure you have the right mask. 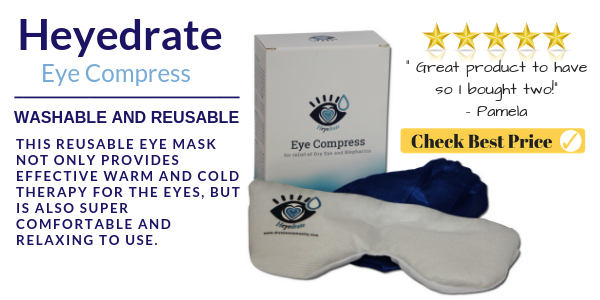 This eye mask designed specifically for heat therapy is easy to use, reusable, and unlike other masks, it’s washable. Heat therapy helps to reduce swelling and promotes an increase of natural blood flow to the affected area. The mask absorbs extra moisture and prevents bacteria growth all while giving a soothing spa treatment experience. Fast and efficient, this mask is doctor recommended and is used to treat a variety of conditions from dry eyes to sinus pressure. 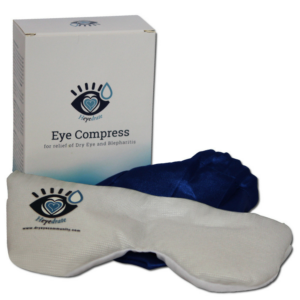 It can be heated in the microwave and used in 10-minute increments to give instant relief to swollen eyelids. The mask even comes with a protective pouch for storing the mask when you’re not using it. When it comes to seeking an effective swollen eyelid treatment, you have to consider what type is going to be the most beneficial to your specific treatment needs. If you’re wanting a hydrating treatment to help soothe those swollen eyelids, then you’re in luck. Wilma Scheumann has designed a hydrating eye pad just for those swollen eyes. Not only will it help moisturize your eyelids, but it helps to reduce the appearance of wrinkles and fine lines. The pads are 100% collagen fortified by hyaluronic acid. The pads are soothing, giving a cooling sensation when applied to the delicate skin around the eye. These easy-to-use hydrating pads are applied for 20 minutes and then easily discarded, leaving you with rejuvenated, moisturized eyes. Like the other masks designed for cold or heat therapy, this mask comes with all the perks of using an eye mask. Its ability to be frozen to help reduce headaches or eye irritation makes it a go-to for swollen eyelid treatment. Likewise, if you’re wanting a heat therapy option, then the convenient mask can be applied for up to 20 minutes at a time to soothe and moisturize. Easy to use, the mask can be frozen or heated to your needs and is reusable while being composed of non-toxic ingredients. 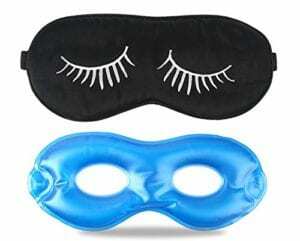 Latex and BPA-free, you can be sure that this eye mask won’t be the cause of more strain to your swollen eyes. This hypoallergic mask will help reduce swelling while relaxing you. If you want to give those swollen eyes a bit of extra care, then you should consider purchasing a sleep mask. Just like the hot/cold therapy options that can be used throughout the day, a sleeping mask replicates the majority of the key features of a therapy mask. The key difference is that it’s worn all night, giving your swollen eyes some much needed rest. Fitglam Pure Silk Sleep Mask comes in two pieces, giving you the option of using the silk sleep mask or the pearl gel mask. The two can be combined for a relaxing, spa-like experience. The mask is made with 100% natural mulberry silk which covers both sides of the mask, a lightweight and breathable surface that relieves swollen eyes. Eco-friendly and made of completely non-toxic ingredients, the skin-friendly mask is designed for all ages and comes with an easy storing bag for taking the mask with you while traveling. As an added bonus, it comes with earplugs. A great option when looking at swollen eyelid treatments, this mask promotes beautiful, healthy eyes, relieving the swollen and irritated skin. If you’re in need of seeking out a swollen eye treatment fast, then think about finding an easy-to-use, natural solution. You should always consider consulting a doctor about your individual case. No matter what the cause is of your swollen eyelids, be it a seasonal irritant or a chronic condition, you should be aware of all the options out there. 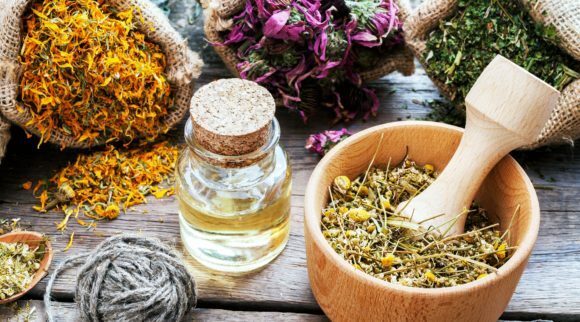 Stay conscious of what ingredients are going into your treatments; things that might not seem all that harmful could easily be hidden irritants. Hidden chemicals, dyes, and fragrances are all common irritants that many swollen eye treatments rely on to have a more appealing look. It is up to you, the consumer, to decide what you’re willing to allow in the products you use.